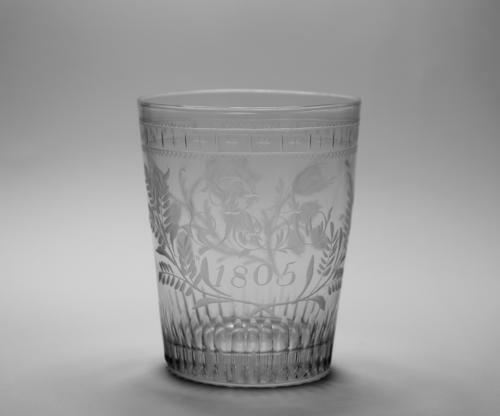 Tumbler with a formal border and cut basal flutes. The initials R A and date 1805 engraved within a laurel cartouche. The reverse with rose and two buds.